The Cabin Balgowan is a climbers hut located in the hamlet of Balgowan about a 1.5 miles east of Laggan. The hut is located about a 2 minute walk from a roadside car park, sleeps 10 and is normally provided with mains electricity and running water. On the evening of 18th of May 2018, I journeyed up to this hut in the Cairngorms for the weekend. After spending half an hour driving round Balgowan, including a trip to Laggan itself to find phone signal, I eventually found the hut deserted. Ten minutes later, Diane and Robin appeared, having been fed in the nearby hotel. They also explained that there was a problem with the hut’s water supply, which meant that we needed to be water sufficient. On Saturday morning Diane and Robin set off towards Newtonmore to bag A'Caleach. 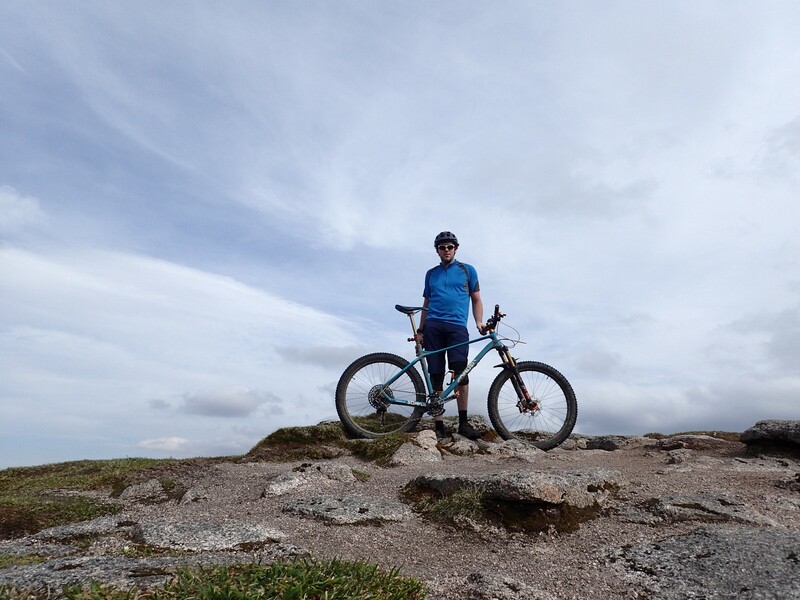 Meanwhile, I set off to Glen Feshie with my mountain bike. After leaving the car near the Achlean, I rode along the side of the Spey to Carnachuin before heading upwards to the Mòine Mhòr plateau. Once onto the plateau the traverse across Càrn Bàn Mòr to Sgòr Gaoith was surprisingly flat and rideable. Things became slightly more interesting on the last technical rocky ascent to the munro summit. 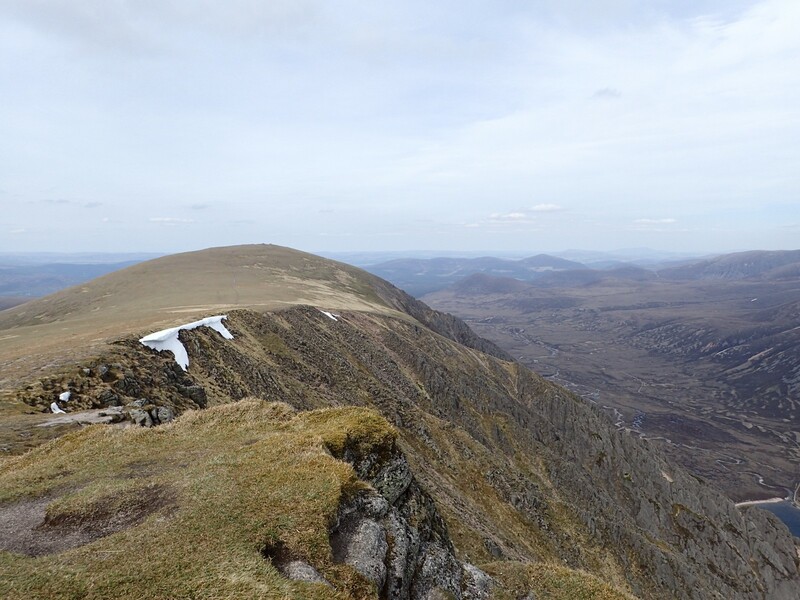 After snapping some pictures and chatting to some walkers and cyclists, I retracted my route off the summit to tackle the descent to back to Achlean. Having somehow negotiated the numerous drain-ditches on the descent without destroying my rims or getting a puncture, it was a short spin back along the road to the car. It was then back to the hut via the Newtonmore Coop to pick up more water (it's amazing how much water three people go through) and cookies. Back at the hut and fed we sat outside drinking wine/whisky and enjoyed a peaceful evening in the countryside, including spotting a buzzard in the fields in front of the hut. Having crashed it earlier due to gusts, Robin also showed off his drone. 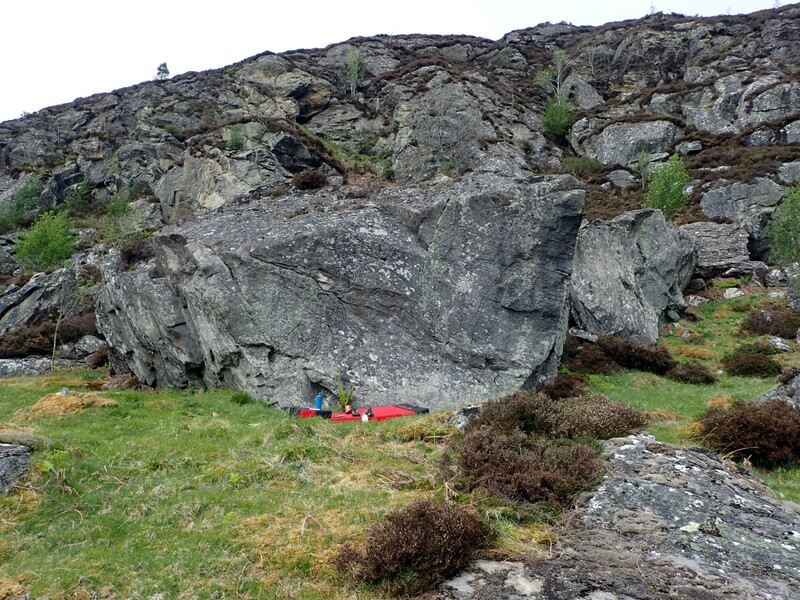 Sunday morning, Diane and Robin headed back to Glasgow, while I headed above Laggan to Creagan Soilleir with my bouldering mat. Having sent my first Font 6a, I returned to Laggan, had a late lunch and headed home to end a thoroughly enjoyable, if quiet, LMC meet.